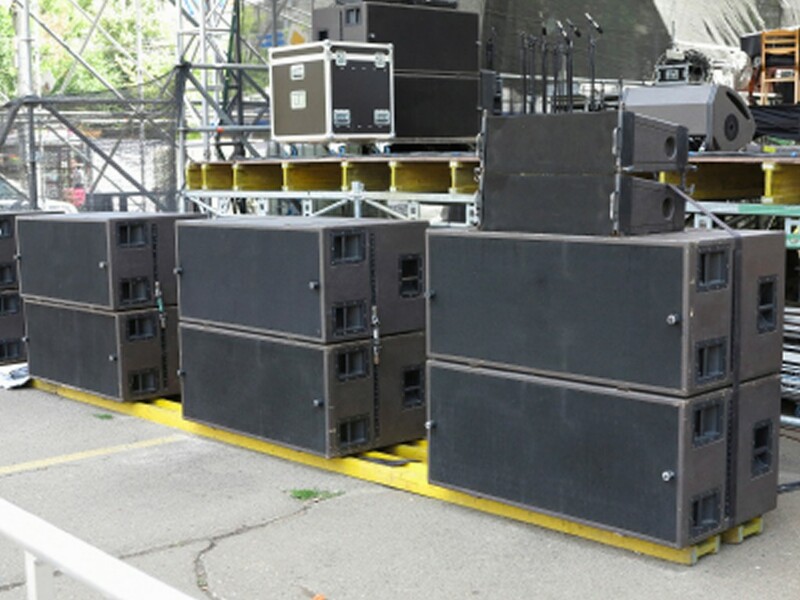 Our equipment inventory includes ranges of speakers from the US-based companies Meyer Sound and EAW (Eastern Acoustic Works), two of the world’s finest manufacturers. Our sound mixing consoles are from another two ‘industry standard’ companies; Yamaha and Soundcraft. These included the top of the range Yamaha PM1D and the latest CL and QL models. Our inventory of nearly two hundred microphones includes models from the finest manufacturers available. This includes over 30 channels of Sennheiser radio microphones. Artist’s riders are easily met meaning simple contracting, reduced costs, and happy artists and management. You can be sure of the best possible sound quality which means contented artists, satisfied audiences and positive reviews. We can supply a full range of professional sound equipment on a ‘dry hire’ basis to other bona fide sound hire companies. Please contact us for ‘dry hire’ rates sheet. Although primarily a sound rental firm we are able, through our sister companies, to supply all the technical requirements for any event to the same high standards. This includes lighting and effect systems and personnel, including a roster of lighting designers and operators with proven track records. We have an ‘in house’ stock of generic lighting fixtures, LED battens, moving lights and control desks. Astra is proud to offer any equipment required to meet technical riders or lighting designs. We can also provide video screens for media playback or live camera operation. We can provide AC generators and power distribution installed to latest electrical safety standards by qualified personnel.